Parting Glances, the 1986 film starring Steve Buscemi, scrutinizes the tragicomedy of being gay during the 1980s AIDS crisis. It’s a film full of lighthearted moments set against a backdrop of existential confusion and Reaganite politics that exacerbated a crisis that decimated the gay community. Nicole Schneit, also known as Air Waves, named her upcoming album after the film—its lead single, “Milky Way,” was a catchy and vulnerable track whose infectious hooks seemed to emulate the best of its namesake film even as they recalled more contemporary guitar bands like Girlpool. “Horse Race,” the second single, sounds like another scene that, like Parting Glances’ comedy, intervenes with humane intimacy against an alienating world. You see all sorts of physical and emotional traits on the train. From people puking, making out, screaming, crying, laughing, dancing, grooming, etc. We encounter each other in the thick of our complex lives by simply looking at each other all the time. These glances are mundane and fleeting but also powerfully intimate. That success in life seems only as assured as the outcome of a horse race is a scary thought. We look to acts like Air Waves to find beauty and levity in the existentially terrifying dance of life. You can stream “Horse Race” below. Parting Glances, featuring Jana Hunter, JB Townsend of Crystal Stilts, Becca Kauffman and Felicia Douglas from Ava Luna, and Brian Betancourt from Hospitality and recorded by Jarvis Taveniere of Woods, is out September 18 via Western Vinyl. 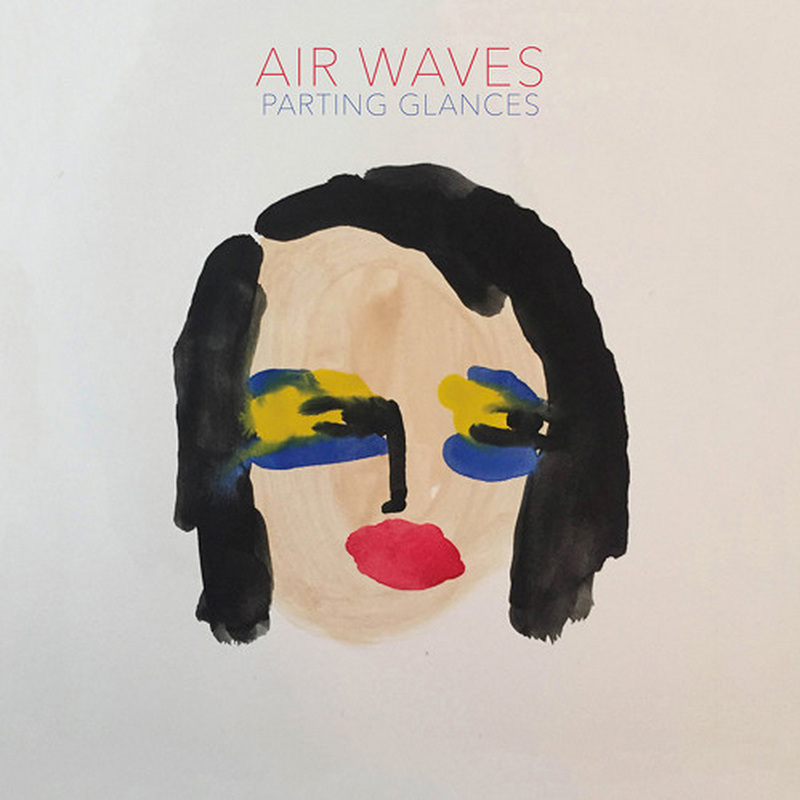 It’s Air Waves’ first release since 2010’s Dungeon Dots.